Get Ready for Summer Reading with Two Great Contests! I kicked off this month by attending a party hosted by the Children’s Book Council and Every Child a Reader to celebrate their newly installed Newbery and Caldecott library. The Newbery and Caldecott Awards are given to authors of amazing and highly acclaimed books for children; you have probably seen pictures of the medals on the covers of some of your favorite books. The collection of Newbery and Caldecott books was donated to the Children’s Book Council last year by author Claudette Hegel, who has written books on the awards and biographies of Randolph Caldecott and John Newbery. Several local authors who have been nominated for the awards were also there to sign their books --- naturally, I fangirled over Adam Gidwitz, who was there for THE INQUISITOR’S TALE, a 2017 Newbery Honor Book that I read last year and loved. Above you can see a photo of some of my favorite authors (Claudette Hegel, Adam Gidwitz, Rita Williams-Garcia, Richard Peck, Rebecca Stead and Uri Shulevitz), along with a glimpse at one portion of the collection, which takes up an entire room. With summer just around the corner, you’re probably trying to figure out what to read over the break. 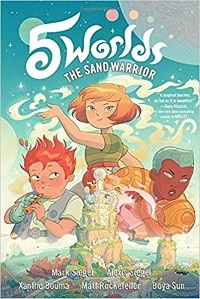 If you need suggestions, we have a new Special Feature and Contest to share for BRAVE, the follow-up to Svetlana Chmakova’s graphic novel, AWKWARD, which was one of the School Library Journal's Top 10 Graphic Novels of 2015, as well as one of YALSA's 2016 Great Graphic Novels for Teens. 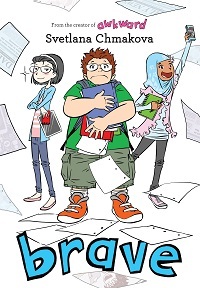 In BRAVE, Svetlana introduces a few new Berrybrook Middle School students and explores the ways that gossip, drama and friendship affect them as they navigate the tricky ins and outs of middle school. In celebration of the release of BRAVE, we are giving away 35 copies of the book to readers like you. Click here to enter by Thursday, June 1st at noon ET. By the way, if you are interested in participating in the Reading Without Walls Challenge we discussed in our last newsletter, this is a great way to get started! While you’re feeling lucky, don’t forget about our Special Feature and Contest for SPIRIT RIDING FREE by Suzanne Selfors, which is open for entries until Tuesday, May 30th at noon ET. This book is based on the Netflix series of the same name, which premiered on May 5th. Whether you’ve tuned in or not, we think this exciting book will be the perfect addition to your summer reading. Click here to enter for your chance to win one of 50 copies of the book, which is now in stores. In picture book news, author James Patterson and his son recently teamed up to release PENGUINS OF AMERICA, a hilarious and heartwarming take on the photography project “Humans of New York,” which interviews random New Yorkers about their deepest secrets, fears and dreams. In PENGUINS OF AMERICA, these flightless birds take a walk in our shoes, showing that humans and penguins really aren't that different after all. Click here to watch a video of James Patterson and his son discussing the book. On our blog this month, we have an exclusive excerpt from WE ARE THE DINOSAURS by musician Laurie Berkner. This adorable book was inspired by Laurie’s beloved song by the same name and is the first in a series of picture books based on her songs. Of course, Laurie's dinosaurs are not the only characters to drop by our blog this month. 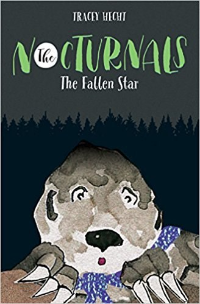 Bismark the sugar glider, one of the stars of Tracey Hecht's Nocturnals series, also stopped by to interview the scariest villains of the Nocturnals forest to determine who is the fiercest of them all. Click here to read their wacky arguments for who should win, and be sure to check out the third book in the series, THE FALLEN STAR. Last week, authors Michael Buckley, Julia DeVillers, Adele Griffin and Sarah Mlynowski teamed up to host the OMG Book Festival, the first book festival dedicated solely to middle grade books. Held in Columbus, Ohio, the OMG Book Festival kicked off with interactive events featuring the organizers and eight other authors, including Stuart Gibbs, Leslie Margolis, Varian Johnson, C. Alexander London. Kidsreads was not able to attend, but if you were there, shoot me a note about your experience --- we're hoping to see many more events from this group in the future! As always, be sure to check out our series update below --- we've added new titles for a whopping 59 (!!) different book series this month...PHEW! We have 50 copies of SPIRIT RIDING FREE: The Adventure Begins by Suzanne Selfors to give away to readers who would like to read the book, which is now in stores. To enter, please fill out this form by Tuesday, May 30th at noon ET. If you are under 13 years old, you must print out this form, get a parent or guardian's signature and send it to the Kidsreads.com office by Tuesday, May 30th at noon ET. -Click here to read the official contest rules. 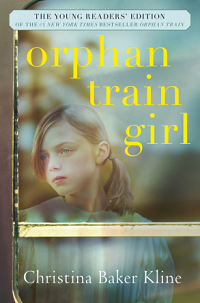 Twelve-year-old Lucky Prescott craves adventure, but as a young lady of society she’s only been allowed to experience adventure through books. That is, until one fateful day when Lucky, her father, and her aunt leave the city and travel to their new home out west --- the Wild West. 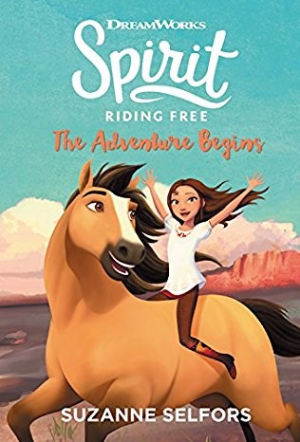 SPIRIT RIDING FREE: The Adventure Begins is the story of a girl and a wild horse, equally out of place in a strange, new world, but equally fierce and brave. With each other to lean on, will these two free spirits be able to find their place in the West? Reviewed by Rebecca Munro. Don’t forget to tune in to the Netflix original series, which is now available for streaming! -Click here to read the review. -Click here to read more about SPIRIT RIDING FREE. -Click here to read an excerpt from SPIRIT RIDING FREE. 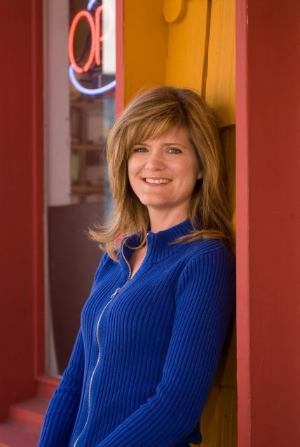 -Click here to read our interview with Suzanne Selfors. We have 35 copies of BRAVE written and illustrated by Svetlana Chmakova to give away to readers who would like to read the book, which is out May 23rd. To enter, please fill out this form by Thursday, June 1st at noon ET. 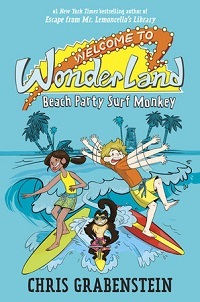 If you are under 13 years old, you must print out this form, get a parent or guardian's signature and send it to Kidsreads.com office by Thursday, June 1st at noon ET. In his daydreams, Jensen is the biggest hero that ever was, saving the world and his friends on a daily basis. But his middle school reality is VERY different --- math is hard, getting along with friends is hard...Even finding a partner for the class project is a huge problem. And the pressure's on even more once the school newspaper's dynamic duo, Jenny and Akilah, draw Jensen into the whirlwind of school news, social-experiment projects and club drama. Jensen has always played the middle school game one level at a time, but suddenly, someone's cranked up the difficulty setting. Will those daring daydreams of his finally work in his favor, or will he have to find real solutions to his real-life problems? Reviewed by Matthew Burbridge. -Click here to read more about BRAVE. -Click here to read an excerpt from BRAVE. -Click here to read our interview with Svetlana Chmakova. Audiobook available, narrated by Robbie Daymond. Audiobook available, narrated by Sarah Thompson. Molly Ayer has been in foster care since she was eight years old. Most of the time, Molly knows it’s her attitude that’s the problem, but after being shipped from one family to another, she’s had her fair share of adults treating her like an inconvenience. So when Molly’s forced to help an elderly woman clean out her attic for community service, Molly is wary. Just another adult to treat her like a troublemaker. But from the very moment they meet, Molly realizes that Vivian, a well-off 91-year-old, isn’t like any of the adults she’s encountered before. Reviewed by Audrey Slater. Audiobook available narrated by Ariana Delawari and a full cast. Winnie's last day of fourth grade ended with a pretty life-changing surprise. That was the day Winnie’s parents got divorced and decided that Winnie would live three days a week with each of them and spend Wednesdays by herself in a treehouse smack between their houses, to divide her time perfectly evenly. It was the day Winnie’s seed of frustration with her parents was planted, a seed that grew until it felt like it was as big as a tree itself. 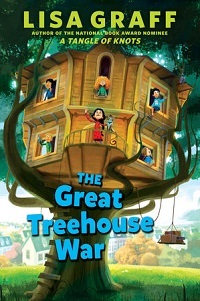 By the end of fifth grade, Winnie decides that the only way to change things is to barricade herself in her treehouse until her parents come to their senses --- and her friends decide to join. It’s kids versus grown-ups and no one wants to back down first. Reviewed by Atheleah McCullough. 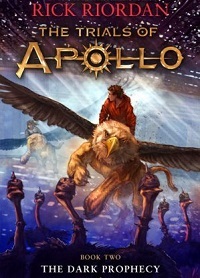 Audiobook available, narrated by Noah Smith. 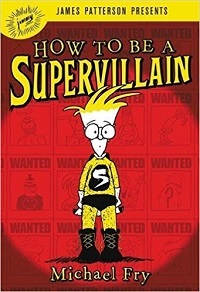 Victor Spoil comes from a long line of famous supervillains and he's fully expected to join their ranks one day. But to his family's utter disappointment, Victor doesn't have a single bad-guy bone in his body. He won't run with scissors, he always finishes his peas, and he can't stand to be messy. Hopeless! As a last-ditch effort before they give up and let him be a --- gasp! --- civilian, Victor's exasperated parents send him to apprentice under a disgraced supervillain called The Smear. Reviewed by Derek Lipton. Audiobook available, narrated by Michi Barall. The traditional Emperor’s Journey is meant to be uneventful. But as the princesses Seika and Ji-Lin --- twin sisters --- travel to pay respects to their kingdom’s dragon guardian, unexpected monsters appear and tremors shake the earth. The Hidden Islands face unprecedented threats, and the old rituals are failing. With only their strength, ingenuity, and flying lion to rely on, can the sisters find a new way to keep their people safe? Reviewed by Dana Cuadrado. Lemonade Liberty Witt’s mama always told her: When life gives you lemons, make lemonade. But Lem can’t possibly make lemonade out of her new life in Willow Creek, California --- the Bigfoot Capital of the World --- where she’s forced to live with a grandfather she’s never met after her mother passes away. Then she meets eleven-year-old Tobin Sky, the CEO of Bigfoot Detectives Inc., who is the sole Bigfoot investigator for their small town. After he invites Lem to be his assistant for the summer, they set out on an epic adventure to capture a shot of the elusive beast on film. Reviewed by Dana Cuadrado. Obe Devlin has problems. His family's farmland has been taken over by developers. His best friend Tommy abandoned him for the development kids. And he keeps getting nosebleeds, because of that thing he doesn't like to talk about. So Obe hangs out at the creek by his house, in the last wild patch left, picking up litter and looking for animal tracks. One day, he sees a creature that looks kind of like a large dog, or maybe a small boar. And as he watches it, he realizes it eats plastic. Only plastic. No one has ever seen a creature like this before, because there's never been a creature like this before. Reviewed by Aimee Rogers. 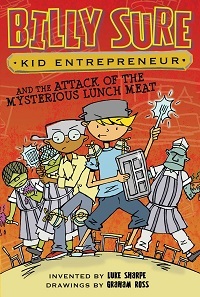 BILLY SURE KID ENTREPRENEUR AND THE ATTACK OF THE MYSTERIOUS LUNCH MEAT written by Luke Sharpe with illustrations by Graham Ross.